While attending an advance screening of Eddie The Eagle, I was reminded of how my Amazing Race experience greatly paralleled underdog Eddie's Olympic journey. Did I ever tell you about that time I got cut from The Amazing Race? After months of phone interviews, video submissions, and filling out volumes of forms, I got a call from casting telling me they'd decided to pass on me. Maybe next season. To say I was disappointed would be to say Coco Chanel was just a fashion designer. I was devastated as I'd wanted it so badly and was so close to getting it. After bathing in self-pity for a few minutes, I took a deep breath and decided I wasn't going to take no for an answer. I was going to convince The Amazing Race casting department that they had made a mistake. Due to air tight NDAs and book-thick confidentiality agreements, I can't disclose exactly how I got them to give me another chance, but suffice to say, my Race started way before Phil yelled, "Travel Safe!" I was reminded of my journey when I saw an advance screening of Eddie The Eagle last week. 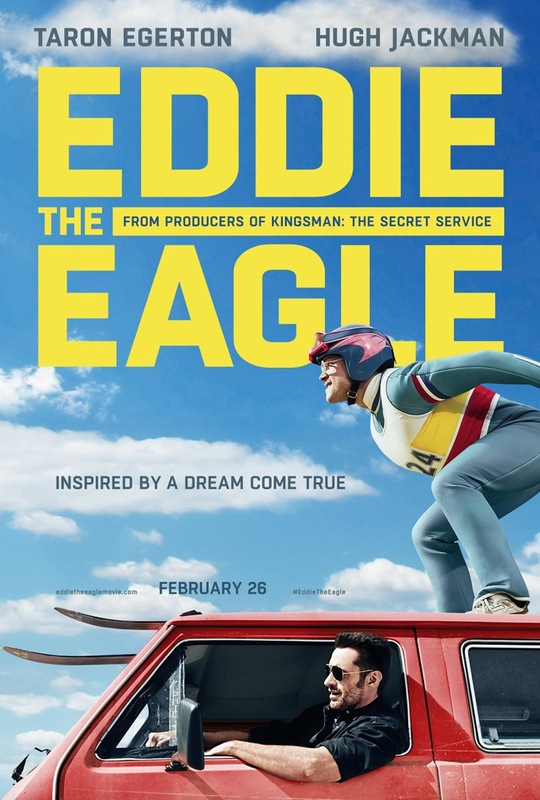 Based on the true story of Olympic contender and everyone's favorite underdog Eddie Edwards, the movie heartwarmingly showcases how Eddie, the son of a blue- collar plasterer and a self-funded "everyman", overcame all odds to become the only British ski jumper in the 1988 Olympics. Motivated by his unrelenting pursuit of a spectacular dream, Eddie soared above his critics and landed both feet in Olympic history. The movie is equal parts funny, charming, and inspiring, and I walked out of the theatre feeling uplifted as I smiled all the way to the parking lot. Eddie's optimism and joy for life is infectious and makes me want to believe that if we'd all just let go of our fears, spread our wings, and fly towards our dreams, we'd be able to soar to great new heights! Eddie the Eagle opens everywhere on February 26! Disclosure: This post was sponsored by Eddie The Eagle through their partnership with POPSUGAR. While I was compensated by POPSUGAR to write a post about Eddie The the Eagle, all opinions are my own.